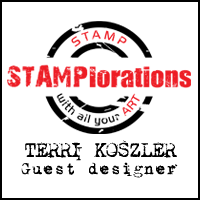 Today I am sharing a card I created using my Gelli Plate and some Visible Image stamps. I wanted to make this card to both show that grunge stamps can create a feminine effect and to convey a poignant message. 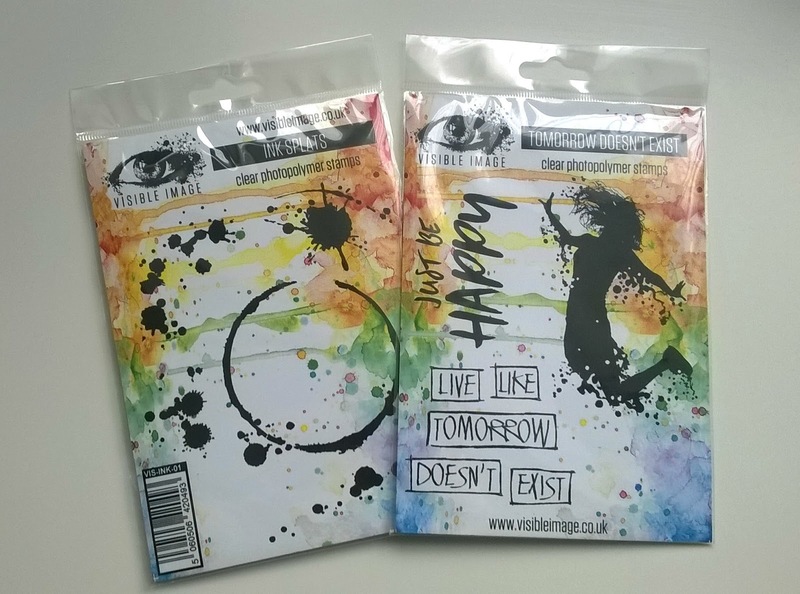 There have been so many high profile deaths in the media in the last 12 months and several of us have also lost loved ones, at times like this I think we all need to be reminded to make the most of our lives and "Live like tomorrow doesn't exist". 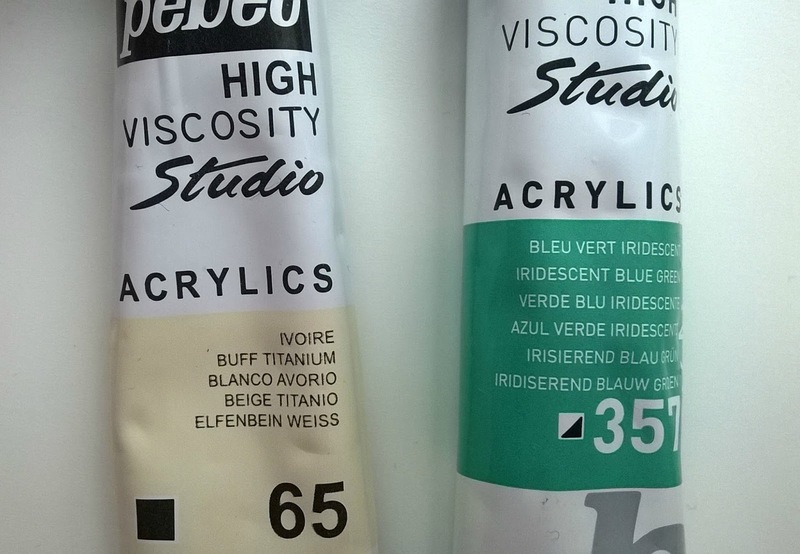 I have used 2 colours of Pebeo high viscosity studio acrylics, Buff Titanium and Iridescent blue green. 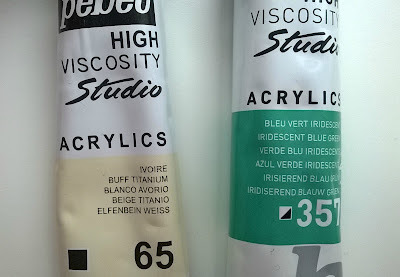 I love these paints as they are thick and creamy which is perfect for mono printing. To create the brick wall I used a stencil and some scrunched up baking paper. 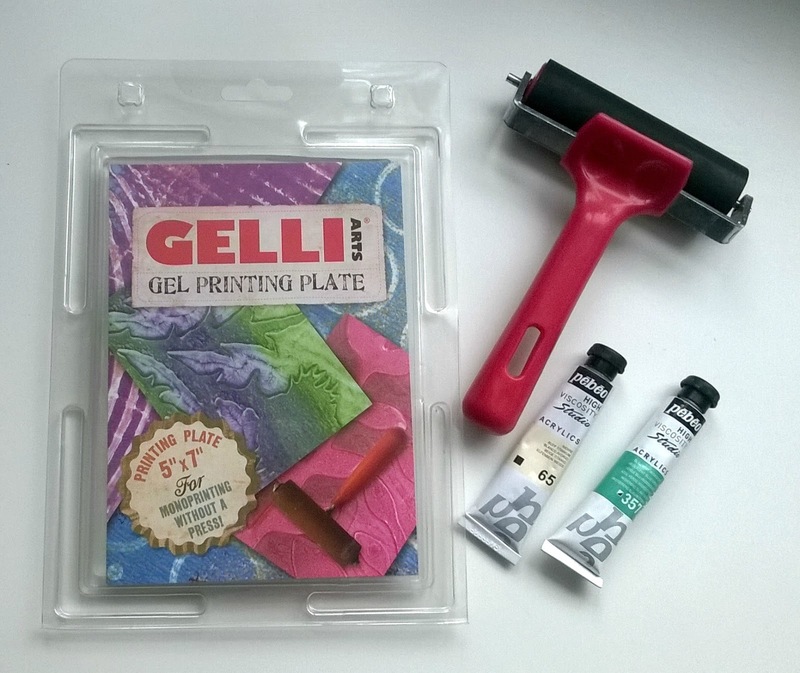 I started by coating the Gelli plate with a layer of the Iridescent blue green using the brayer, then I placed my stencil on top. Using the baking paper I dabbed into the gaps to lift some of the paint away, I then removed the stencil and allowed this layer to dry. 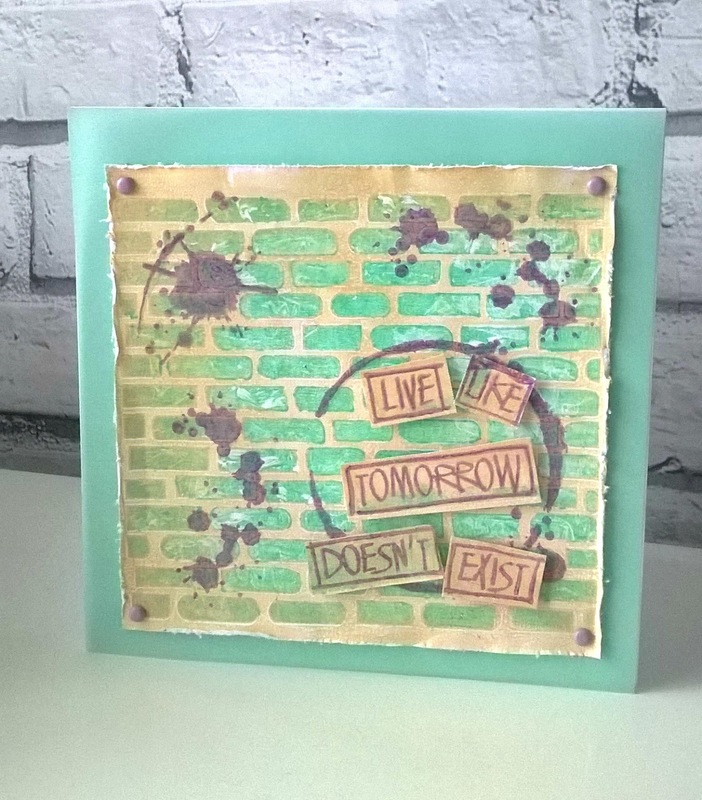 Once it was dry enough I added a layer of the Buff Titanium, I then quickly put a piece of smooth white card on to the Gelli plate and rubbed over the surface to make sure I got a clean lift when I remove the card. 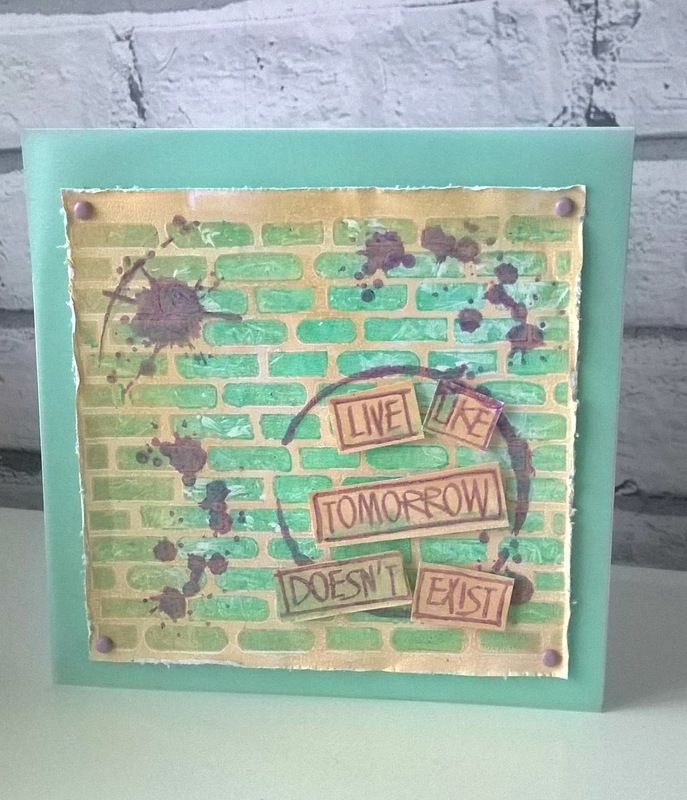 Next it was time to add some stamped images and text, for this I used Visible Images Tomorrow doesn't exist and Ink splats stamps. 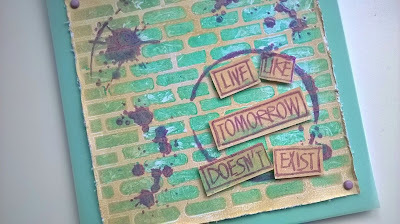 I stamped the text on to the off cuts from my background and cut them out and mounted the words on to some foam pads. 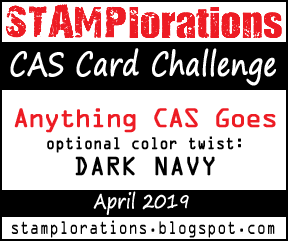 I like to have a little dimension in my cards. 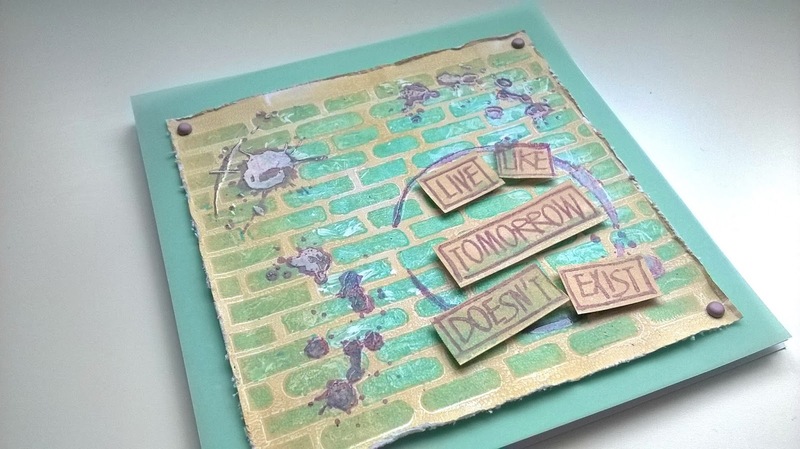 I added some clear embossing powder over the Ink splats to give shine and reflection. 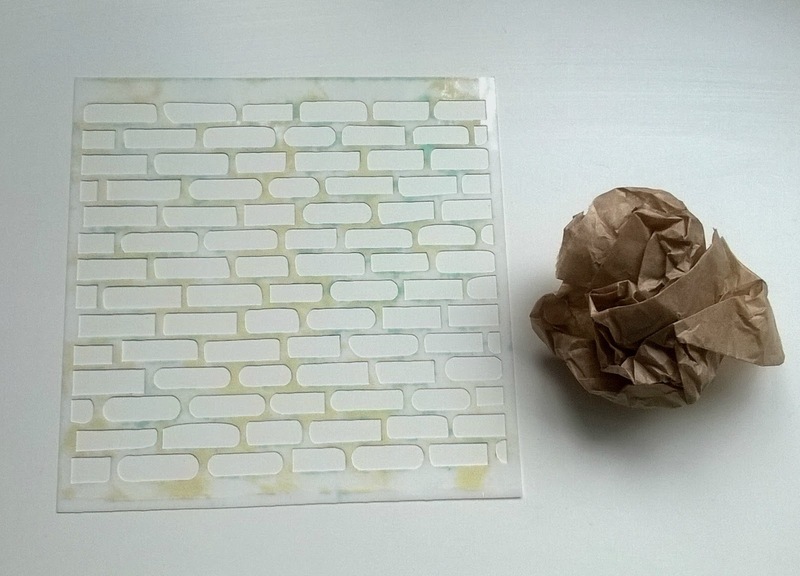 I then distressed the edges of the main brick panel and mounted it on to some vellum and attached it using mini brads. This was then placed on to a white 6x6" card blank. 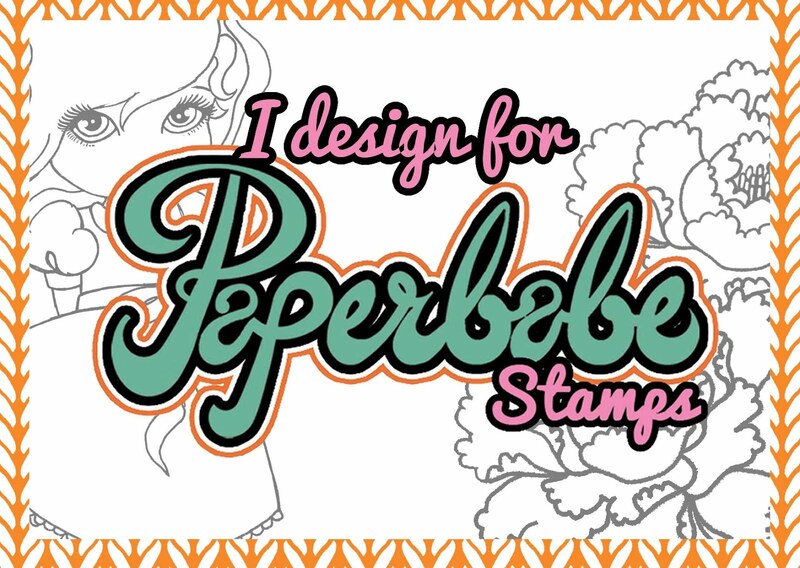 Thank you for taking the time to stop by and visit my blog, I'll be back soon with another crafty post.